San Francisco is well known for its food culture. 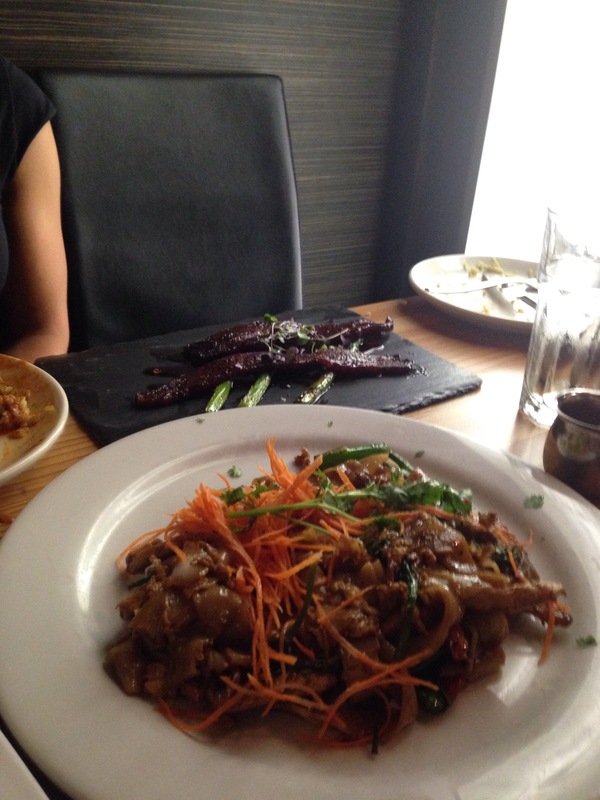 Its history of Asian immigration has made Asian cuisine -both traditional and fusion particularly strong. 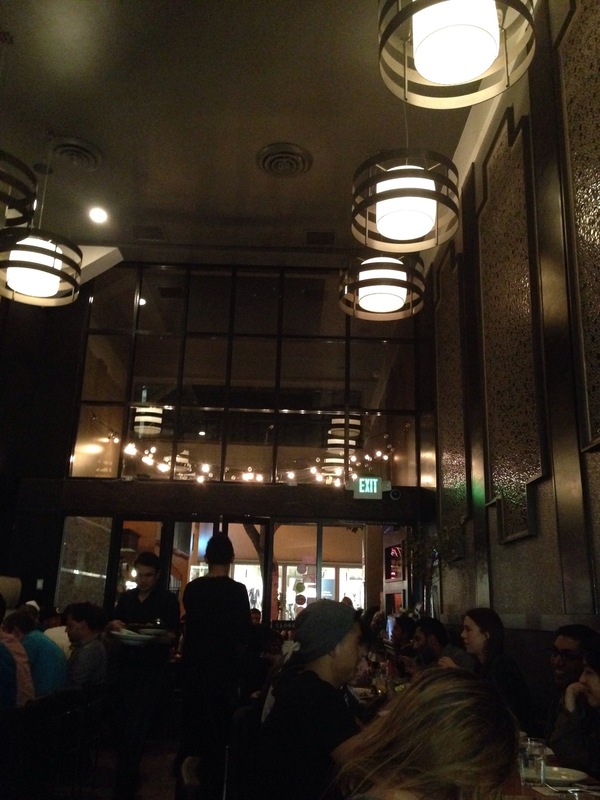 While the city’s Marina/Cow Hollow neighborhood is not exactly the place to go for authentic international dishes, its trendy cafes and enthusiastic crowds are the perfect atmosphere to play with modern American reinterpretations of Thai food. 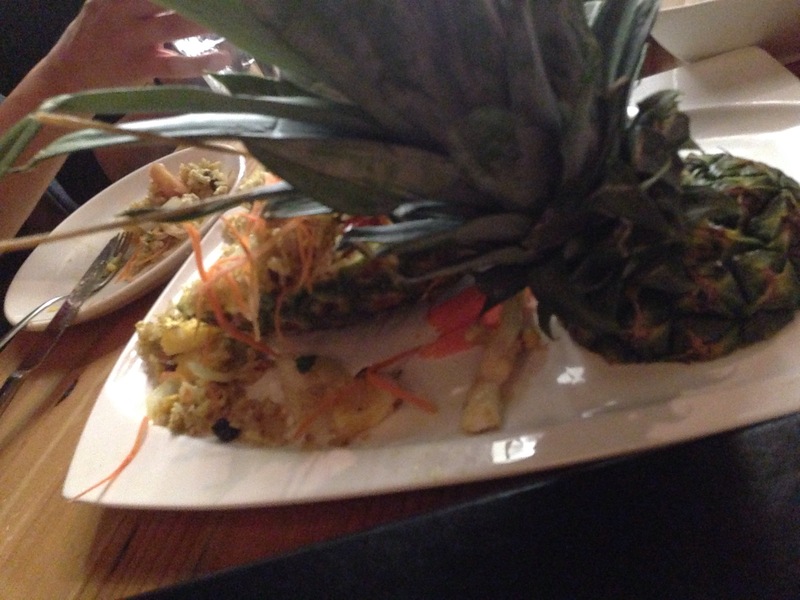 Even from curbside, it is evident that Blackwood is not your typical Thai restaurant. Sleek wood, outdoor fireplaces, and clean modern lines clue the casual visitor into the restaurant’s American roots. Now, don’t get me wrong, I love traditional Thai flavors, but Blackwood’s fusion brings out the best from both Thai and American cooking styles. Come in with an open mind, and prepare to be wowed. I visited on a Friday night, and the restaurant had no shortage of patrons. A short wait at a next door bar passed quickly as our table was readied. Blackwood’s atmosphere,which reminds me a bit more of Los Angeles than SFO, buzzes with yuppie energy but tamed by the open flow of the indoor dining space and the mellow bliss of diners satisfied with their food and friends. The menu offers plenty of variety – from appetizers that lean more American to a range of entrees. Main courses included slightly cleaner (less greasy) traditional Thai curries, wok fried noodle dishes, fried rice, and unexpected chef’s specialties, such as a Wagyu burger called the One Percenter’s Burger, bacon-wrapped scallops, pan-seared fish, short rib tacos, and the Blackhawk Belly pork slow cooked with Chinese Five Spice Blend. My group decided to feast family style, and our meal was truly outstanding. We were perhaps overly ambitious and ordered way too much food, but we were in no danger of leaving either hungry or dissatisfied. For starters, we chose the fabulous Marina Tower, Millionaire’s Way, and Pumpkin Fries. Those alone could have fed us nicely. 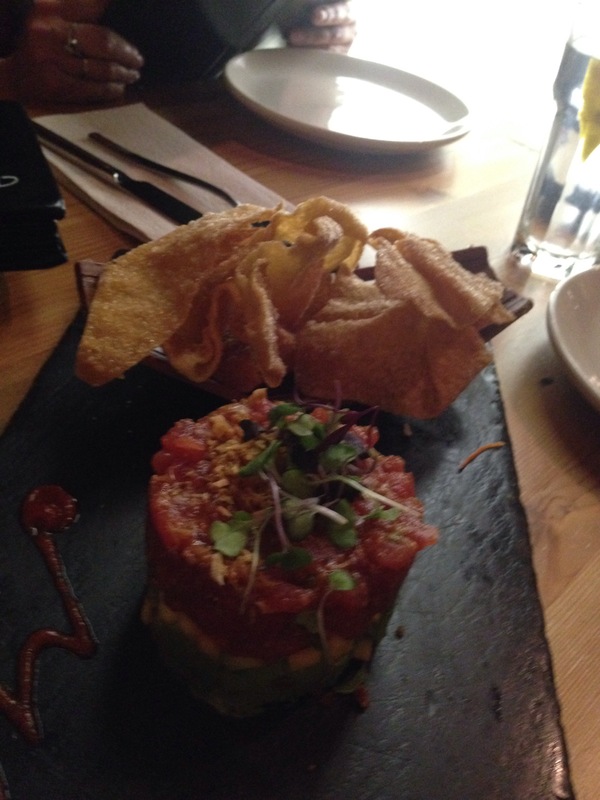 The Marina Tower was a large tuna tartare accented with avocado and mango. The Millionaire’s Way took bacon-wrapped asparagus to another level. Thick slabs of dense, maple cured bacon imparted sweet smokiness to the often pungent asparagus. The pumpkin fries resembled wedge potatoes with a pleasantly crisp exterior and sweet, mealy insides complimented by a tangy sweet and sour peanut dipping sauce. For main dishes, we did a chicken Pad See You (Ew), Tom Yum noodle soup with chicken, and delicious shredded beef fried rice. The large soup was a shareable portion, as were the entrees. I think the photos (however poorly lit) speak volumes more about the precision of Blackwood’s presentation and flavor than I am able to share in words. Our feast included every range of taste – sweet, sour, salty, bitter, and unami- and texture, combined in both comforting and unexpected ways. Don’t take my word for it: Try it yourself during a visit to San Francisco!